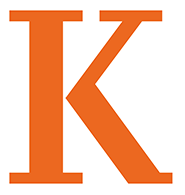 Kalamazoo College wants to assure that students progress toward graduation in a successful and timely manner. Furthermore, federal regulations require institutions that award federal student aid to implement policies and practices that monitor satisfactory academic progress toward achievement of a degree. This involves monitoring both a reasonable quality of academic achievement as measured by Grade Point Average and a reasonable “pace” towards earning an academic degree. The following section explains how Satisfactory Academic Progress is measured at Kalamazoo College. The College will administer this policy to all students, whether their financial aid is funded from federal, state and/or institutional sources. Who determines whether a student is making Financial Aid Satisfactory Academic Progress? The Committee on Financial Aid Satisfactory Academic Progress (CFASAP) shall include the Director of Financial Aid (chair), the Registrar, the Dean of Students and the Dean of First-Year and Advising. How often is Financial Aid Satisfactory Academic Progress evaluated? CFASAP will meet at the end of the academic year following the Academic Standards Committee’s review of student grades. Grade Point Average (GPA): A student who has been enrolled for three terms of study (first-year) must have achieved a minimum cumulative GPA of 1.67 by the end of the first academic year. At the end of the second year, and each year thereafter, the cumulative GPA must be 2.0* (“C” average) or above. Failure to meet these standards will result in the student being denied scholarships and financial aid for the next term of enrollment. A student whose financial aid eligibility is cancelled because of a deficient cumulative GPA may file an appeal and be granted an additional term under the status of “probation” at which time the student must meet the standards established for success. Refer to the section “Appealing Loss of Financial Aid” for information about how to appeal. *Note: the standard for renewal of college-funded merit scholarships, Lux Esto, Trustee, Presidential, Founders, J.T. Williamson, Global Leaders and Enlightened Leadership/Social Justice scholarships has been established as a cumulative 2.5 GPA at the end of the sophomore and junior years. If merit awards are lost, students may appeal and/or request merit reinstatement. Pace: Students are considered eligible for financial aid only for those terms which constitute a part of their program leading to graduation. A “term” at Kalamazoo is also referred to as a “quarter”. The expected duration (number of terms/quarters) for which a student may enroll to achieve a first bachelor’s degree is 12. These 12 terms may include a maximum of three terms of study abroad/study away. Understandably, there are reasons that may require a student to need to enroll beyond this standard. Therefore, the College extends eligibility for some types of financial aid to allow a maximum of 18 terms to achieve graduation requirements. Not all forms of financial aid will be available for this extended length of time. Financial aid awards from the College (both merit scholarships and need-based grants) will not normally extend beyond 13 terms. The chart below explains the funding options available based on the length of time. Transfer Students: As transfer students are admitted to the College, the Registrar reviews the applicant’s academic transcripts. This official review establishes the number of units needed to meet our degree requirements and includes enrollment at prior institutions. The number of terms of funding available at Kalamazoo will be based on the remaining credits required to complete the degree, using a standard of 3-class course load per term. Tracking Academic Progress-Probation and Cancellation of Financial Aid: In order to successfully complete graduation requirements within a reasonably established length of time, the student must be making reasonable progress toward the degree. A calculated ratio of units attempted to units completed illustrates a student’s “pace” or progress towards achieving a degree within the College’s acceptable standard. In the chart below, a comparison is made to the cumulative number of units attempted to cumulative number successfully completed. Successful completion requires that a passing grade is received for a course. First-year students are expected to successfully complete 67 percent of the courses attempted. After the first year has been attempted, students are expected to successfully complete 75 percent of the courses attempted. Students who fail to meet this standard will no longer be eligible to receive any forms of scholarships and financial aid and will have a financial aid eligibility status of “cancelled”. Please read the section labeled “Appealing Cancellation of Financial Aid” to determine what is required to regain scholarship and financial aid eligibility. The following table illustrates a sample of the percentage of successful course completions to attempted. Please contact the Financial Office if you have any concerns about your pace. NOTE: Because Kalamazoo College students primarily attend at full-time status, the standards within this policy are established for full-time enrollment. All standards will, however, function properly in the occasional term in which a student is not enrolled for three courses. Grades of F, NC, and W are not considered passing grades. Grades of I (Incomplete) must be successfully replaced with a passing grade within the timeline established by the Registrar. See section on “Grading Practices” in the Academic Policies section of the catalog for rules on incomplete grades. When you repeat a course, removal of the first grade earned will count as an unsuccessful attempted unit. If the required standards are not met, financial aid for next term will be cancelled. If your financial aid eligibility is cancelled you may follow instructions below to appeal. If you need more than 36 attempted units to complete your degree, you may petition CFASAP for permission to have an additional quarter of funding. Refer to length of time above. What is the process to appeal a cancellation? to outline what has changed or been accomplished to lead to a better performance. Content of an appeal: It must be feasible for the student to return to a state of meeting Satisfactory Academic Progress in the next period of enrollment carrying a normal course load. What is the outcome of a successful appeal? Conditions of Probation: While on probation, the student is expected to complete a full-time course load. The specific conditions and levels of achievement that are required to be met during the probation period will be conveyed in a letter from the CFASAP when the appeal is granted. Responsibility of Notifying Students: Financial Aid shall notify the student of all Committee decisions in writing. Letters will be sent to the student’s campus mail box or to the student’s home address of record if a notification takes place during the summer period between academic years. A copy of the letter will also be emailed to the student copying academic advisors. All communication with the CFASAP should be sent to the Director of Financial Aid. What happens after a term on probation? Reinstatement/Cancellation: If the student successfully meets the academic requirements set forth by the Committee while on probation, they will be removed from probation and return to regular financial aid eligibility. If the academic results required while on probation are not achieved, all forms of financial aid (institutional, federal, and state) will be cancelled for future terms. Regaining eligibility after Cancellation: A student who has been cancelled for financial aid eligibility, but not academically dismissed will have to pay for the next term without any financial aid assistance. Such a student may petition the CFASAP committee to suspend the cancellation and reinstate financial aid eligibility after paying for one term on their own. A meeting with the Director of Financial Aid is advised before such an appeal is submitted. Subsequent Cancellation: It may be possible for a student who was once cancelled to regain eligibility and subsequently return to a condition of cancellation. Only in unusual cases will a student be reinstated after a second cancellation. Third cancellations are always final. Students who have not been cancelled or been placed on probation may still need to enroll beyond 12 terms in order to achieve their degree. Consider the following when asking for additional terms of financial aid support. For all students, circumstances that typically lead to approval for additional funding of institutional aid beyond the 13th term are course withdrawals necessitated by illness or injury of the student or a death in the family. Furthermore, request for additional terms must be necessary for graduation and may not solely be the result of failures, under-enrollment or poor planning. Students who require financial aid beyond the basic standard of 12 terms must make a written request to the Director of Financial Aid or to the Committee on Financial Aid Satisfactory Academic Progress (CFASAP). Students who need one additional term must send a letter of appeal (not an email message) and include the specific reason why the additional term is needed to graduate. Students who wish to request financial aid beyond 13 terms must petition the Committee on Financial Aid Satisfactory Academic Progress. The written appeal must be a formal letter (not an email message) and include the specific reason why the additional terms are needed to graduate. The petition letter may be delivered to the Director of Financial Aid who will bring the petition to the Committee on Financial Aid Satisfactory Progress. Appeal forms can be found on the Financial Aid Policies page at www.kzoo.edu/finaid. All students requiring an additional term(s) must remember to file a Free Application for Federal Student Aid (FAFSA) for the year in which the aid is being requested in order to be considered for all forms of need-based aid in addition to College-provided scholarships. If you find you still have questions or concerns about Financial Aid Satisfactory Academic Progress after reviewing this policy, we encourage you to contact the Office of Financial Aid for assistance.